Don Frazier founded Don Frazier and Sons Masonry in 1974 from his home in Lancaster, California as a custom residential masonry contractor. He approached each project with attention to detail and a “Customers First” philosophy, and quickly grew the business. It wasn’t long before the operation expanded to a doublewide mobile office on the family property. In 1985, the entrepreneur incorporated his business, changing the name to Frazier Masonry Corporation. In 1988 he partnered with his two sons, Mike and Russ, who had been involved in the family business since the late 70s. During the next few years Frazier Masonry began a migration into tract development and small commercial masonry projects. In 1990 the company built their first office and yard location in Lancaster. In the early 90s, with an industrious spirit and eagerness to seek new opportunities, Mike and Russ began to focus on larger commercial projects. At the same time, they realized that in order to service the company’s growing client list and repeat customers, they needed to expand Frazier’s geographic reach. In 1994 they opened their first satellite location in Las Vegas, and later established offices in Sacramento and Reno. 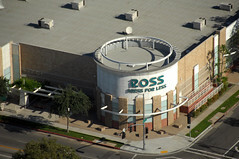 In 2002, during this expansion period, Russ and Mike purchased their father’s interest in the company. In April 2007 they relocated Frazier’s corporate headquarters to Camarillo, California to better serve their growing division offices. Today the company serves California. It is the largest masonry and concrete contractor in its market sector and well positioned for further growth. Frazier is still dedicated to establishing strong customer relationships by making customer satisfaction the #1 priority. The "can do" attitude and the ability to make and meet commitments by every one of your team contributed greatly toward making this a successful project. We look forward to the opportunity to work together in the future. - David Yung - Ledcor Construction Inc.